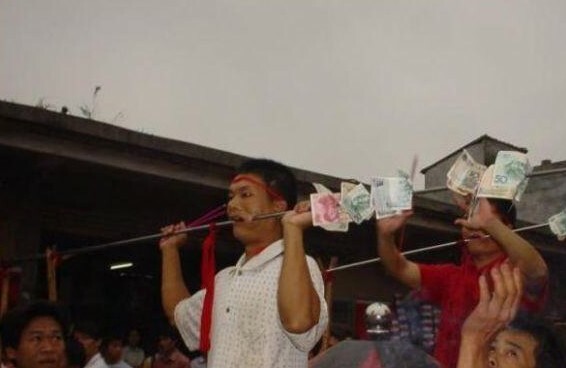 These young men need to steel themselves to get round to morning prayers in south China’s Hainan province. 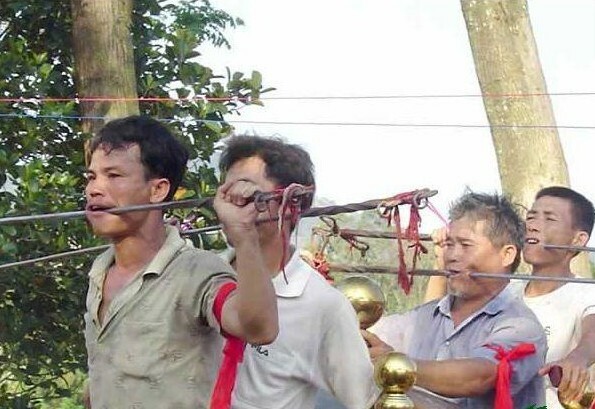 Every spring the faithful gather in various villages on the outskirts of Haikou, capital of south China’s Hainan province, and the most devout are asked to demonstrate their love for God by piercing their cheeks with the metal bars. Ning Mai, 76, an elder in Huangpo village, at An’ding town, is one of those organising the festival and said true believers felt no pain from the ritual – and would be blessed for the coming year by the Gods for their devotion. Only the youngest and fittest men are allowed to take part as a sign of respect for the Gods. 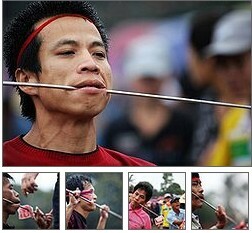 Mai said: "We used to use bamboo rods but steel is better. It is a great honour to be one of the chosen and all of those who take part are guaranteed a good coming year as the chosen of the Gods." Next news: PUMA leads fleet on Leg 6 to Miami as Sanya carrys out repairs in Savannah.